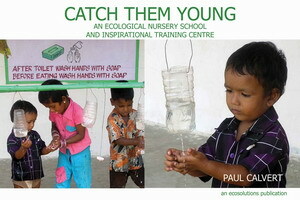 Catch them Young (2008) tells the story of building an ECOLOGICAL ANGANVADI. It features ecological toilets, eco-urinals, rainwater harvesting, handwashing, vegetable gardens, nutrient recycling, awareness raising and smokeless kitchen. This work is in Mamallapuram just south of Chennai the capital of Tamil Nadu in southern India. This ECOLOGICAL ANGANVADI (nursery school) is a green and peaceful place. 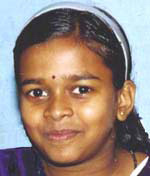 It has many simple innovative features that make it an ideal setting for children to begin their journey in life. But more than this it is also an inspirational centre for people from near and far, senior government officials and enquiring citizens, teachers and ngos, to come and feel inspired! Polluted Rivers? Leaking Sewers? Water shortages? Waterborne and water-related diseases? 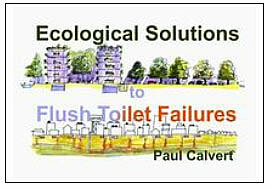 Are we to rely on water-flush toilets in the 21st Century? We think not! This book raises awareness of the shortcomings of conventional sanitation and shows that there is a logical and sustainable alternative. The book is a wake-up call to everyone engaged in urban, peri-urban and rural development and planning. It is also a tool for everyone involved in development implementation and education. Rarely has such a major race been undertaken towards such an important goal using such a limited, and limiting, range of approaches. Whilst it is true that water-flush sanitation, especially the water-seal pour-flush pit latrine, has improved the lives of millions, flush systems are increasingly polluting our rivers and aquifers. With water an ever more precious and fought-over resource, its use as a transport medium and sink for human excreta is highly questionable. Although most people don’t stop to think about it we are running headlong into a disgusting crisis of enormous proportions. India's rivers are massively polluted and most of it is SEWAGE ! All the talk these days is of water crises - not enough water for everyone nor for everything! But as more and more people get water flush toilets we waste more and more water. We not only waste water but also pollute rivers and ground water with all the pathogens that cause cholera, jaundice, polio, dysentery, diarrhoea, and so on. Even septic tanks are not the solution that people often believe them to be. And even good septic tanks do not remove all the pathogens. Every day septic tanks discharge the same volume of water that they receive. This effluent is only partially treated and still contains pathogens and it all has to soak away into the ground. Sadly there are many badly built septic tanks so the situation is even worse with untreated sewage leaking straight out of these tanks. The situation is particularly bad where septic tanks and pit latrines penetrate the water table and can easily pollute our wells and watercourses. This is not to say that vast numbers of pit latrines and septic tanks are not doing a good job. Rather that, as population pressures push us to develop more and more marginal lands for settlements, we have built water-flush toilets where we should not. 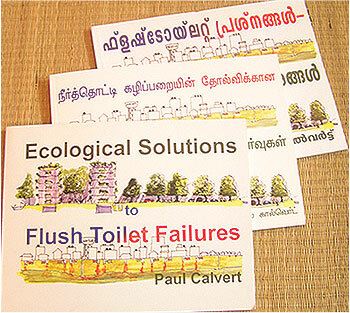 This new book, ECOLOGICAL SOLUTIONS TO FLUSH TOILET FAILURES, points out the failures and the way forward for public health and sanitation in S Asia. 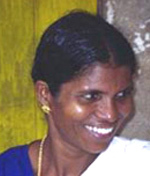 The author, Paul Calvert, a development engineer working on appropriate technologies and sustainable livelihoods, first came to India in 1987 as a designer and boat builder to assist the artisanal fish-worker organisations in Kerala. However after several years of work in the artisanal fisheries sector the terrible situation faced by women with regard to sanitation gained his attention and concern. This led, in 1995, to his development of the Dry Compost Toilet to solve the problems of sanitation in congested high water table areas. The effectiveness of this approach has led to great interest in many other parts of India and S Asia and further afield. The book uses many pictures and diagrams to show that many of us are making the wrong sanitation choices, although, by and large, we do not realise it. It also points the way to what we can do about it and the many benefits that this can bring to society and the environment. It is not simply a case of preventing disease it is also about living in a better environment where rivers are much cleaner and cities, villages, farms and forests are greener and the climate more temperate and water is more available. If the cities on the Yamuna and Ganga had ecological sanitation instead of sewerage these once beautiful rivers would come back to life!